BOISE, Ida. 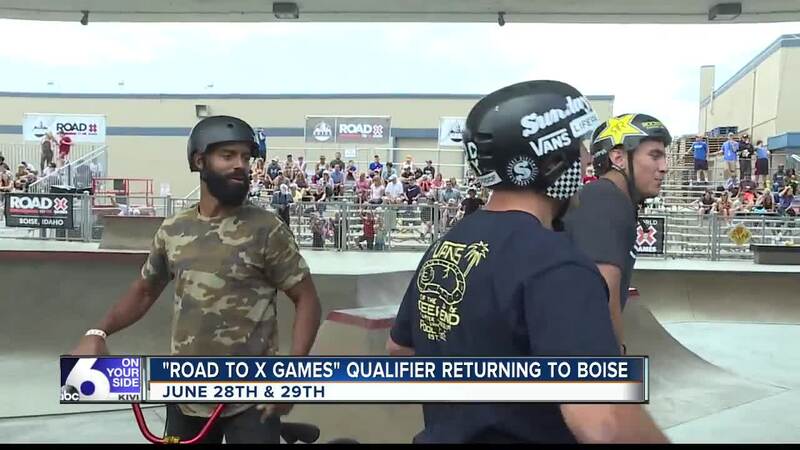 — Boise's Rhodes Skate Park is once again preparing to host the top skateboard and BMX athletes this summer. It's part of qualifying for X Games Minneapolis 2019. Twenty-one athletes will compete in each of the disciplines of Men's and Women's Skateboard and BMX Park, but only the top six finishers will punch their ticket to Minneapolis. This year's competition features current and up-and-coming talent from around the world and right at home. Boise's Dalton Beeson is set to compete in his third straight Road to X Games Boise Qualifier. Other notable athletes to watch include Olympic halfpipe silver medalist and X Games Snowboard SuperPipe gold medalist Ayumu Hirano, pro X Games Skateboard Street silver medalist Jagger Eaton, and X Games Big Air bronze medalist Mykel Larrin. Ten-year-old Sky Brown from Miyazaki, Japan is making her X Games debut in Boise as she begins her quest to become the youngest Olympian in 2020. The events at Rhodes Skate Park are free and open to the public, while tickets for bleacher seating will be sold separately. The events kick off at 9 a.m. on Friday, June 28, and wrap up at 6 p.m. Saturday, June 29. The event will be live streamed on the X Games Facebook page and YouTube channel. You can also catch events on 6 On Your Side at part of the World of X Games content on July 6. For a full list of events, click here and to find a full list of invited athletes, click here . More information about the X Games can be found here .